Lamar Advertising Company Recycles 101 Pairs of Shoes with Planet Aid for Earth Day - Planet Aid, Inc. Planet Aid helped Lamar Advertising celebrate Earth Day by recycling the footwear collected at its company shoe drive. Employees from the corporate headquarters in Louisiana brought in 101 pairs of used shoes to be spared from the landfill. The company also collected and recycled light bulbs, batteries, plastic bags, and denim during Earth Week. Congratulations to Lamar employees for their successful efforts to protect the environment! Click here to read more about Lamar's green initiatives. 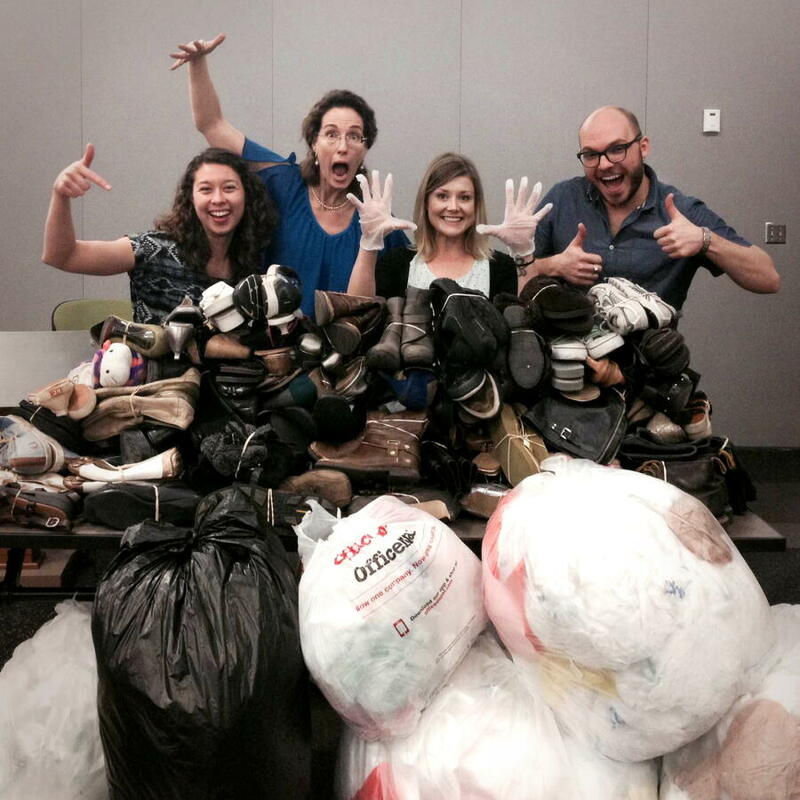 Read more: What Happens to Donated Footwear?